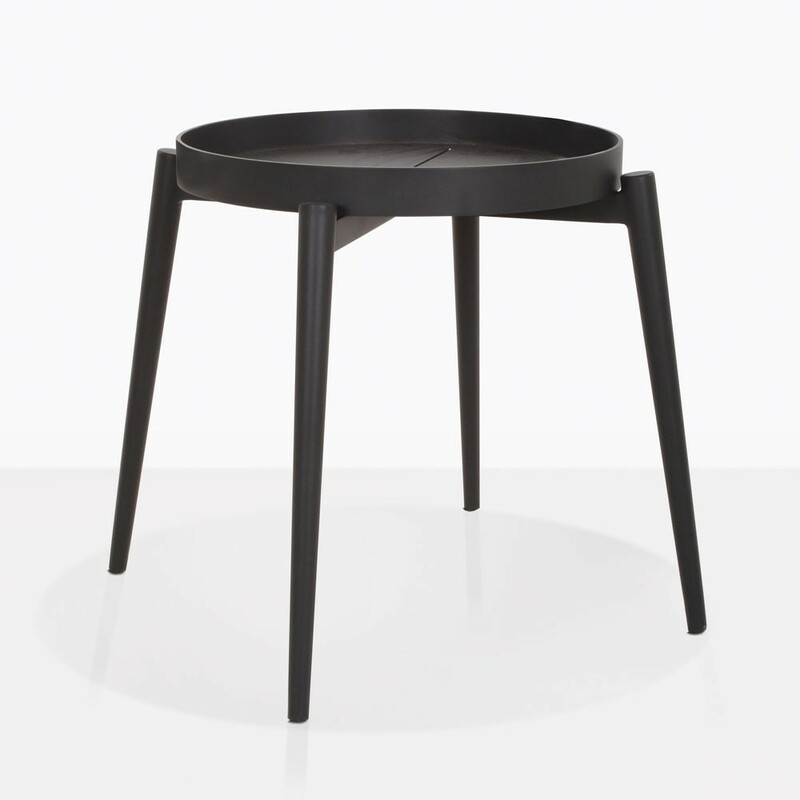 Add the finishing touch to your outdoor seating area with this stunning, chic and unique side table. The Moon Tray Side Table is an incredible piece that is a tremendous blend of the old and the new. Our Moon Side Table features a seemingly simple design, with added detail that makes it functional, modern and a must have item! A state of the art take on a classic tray table, the Moon Side is the perfect piece to decorate your space. L 18.5 x W 18.5 x H 19.7 in. Place a few of these gorgeous Moon Tray Side Tables on each corner of your sectional seating unit, for a perfect, minimal piece to complement an entertaining area. Add some delicious tapas, and tasty cocktails and you’re set for a joyous night of relaxing in utter style. Enjoy this perfect little side table on either side of your indoor sofa – a stylish finish for your home. Perhaps place a lamp on one side, and a few table books on another for additional dressing that transforms your space. The Moon Tray Side Table is made from high quality, incredible performance powder coated aluminum, a rare material that not only looks amazing but doesn’t require much maintenance! Another example of incredible superiority in price, style and quality from Teak Warehouse! Purchase your Moon Tray Side Table today and transform your area with this incredible piece of amazing outdoor furniture from Teak Warehouse – where you can create a superb outdoor living space with everything you need to feel at home.